I had a recent trip up the road from Kelowna through the City of Vernon and on to the beautiful ski resort of Silver Star. I’ve been there several times previously with my partner, her family and our friends amidst the ski season on Christmas/New visits. This time it was to be a ‘dry run’ however, before the winter fun starts, hopefully promptly in November if snow conditions permit. It’s been three years since my last visit on New Year’s Eve in 2005. On that occasion we skated on the excellent Brewster’s Pond at the resort. I whiled a couple of frigid but enjoyable hours on the ice, flipping a puck around with a rented hockey stick on that occasion. That was before retiring to a cosy bar to see in the UK New Year at 4pm Pacific Time. A recent worrying rash of serious road accidents involving motorcycle-vehicle collisions in Kelowna was added to a day ago by the news of the rider of a Harley-Davidson who collided with a young driver’s pick-up truck in Westside. The rider is said to have sustained a leg fracture and it’s thought he will survive. The circumstances of the accident are not clear at this point. This story, reported in Kelowna’s Daily Courier is a sad reminder of a tragic tale that hit the front page of the same publication just recently on October 12. None of us likes to hear these stories but this one struck me as particularly heartbreaking. 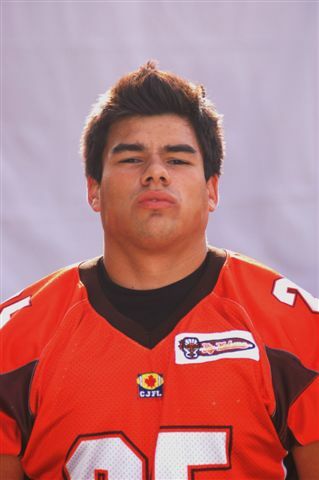 It concerns the story of 21-year old Okanagan Sun running back, Janson Towers who died in a collision between his motorcycle and a large semi-trailer vehicle at the busy junction of Gordon Drive and Harvey Avenue. Janson, who was on his way home from training with the club, sadly died from his injuries in the ambulance on the way to hospital. Janson is reported to have had a series of speeding convictions and some would quite reasonably point to his style of riding putting others in danger. Without delving into the why’s and wherefores of this and the accident itself, it’s always terribly sad to see someone so young and gifted with their whole life in front of them taken away from us in this way. In another heart-rending note, Janson from Alberta had just four days previously been honoured as the Okanagan Sun’s most inspirational player. A day later, the Sun’s opponents, the South Surrey Rams offered to postpone their fixture scheduled for The Apple Bowl in Kelowna but Janson’s family insisted the show must indeed go on. Janson’s number 25 jersey was carried aloft on to the pitch before the game and his teammates managed to produce a 38-7 victory in his memory with a gutsy performance. Condolences go to the young man’s loved ones and all who knew him. One hopes that Janson Towers’ story, and all the other recent senseless accidents will not go unheeded. Motorists out there please keep an extra watch out for motorcyclists and motorcyclists, please think carefully about your speed and safety. Hopefully the sad and unwanted increase in these type of accidents can be arrested. 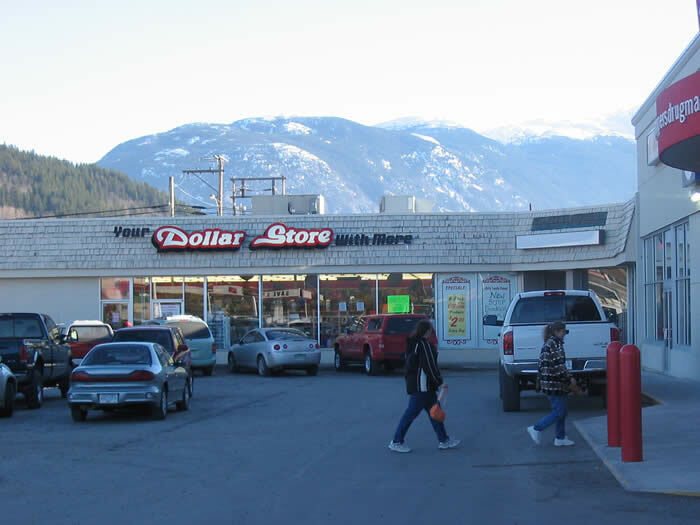 From inauspicious beginnings ten years ago in 1998, The first Dollar Store opened in Merrit, British Columbia followed very shortly afterwards by a similar outlet in Kelowna in the same province. Those two early stores spawned a huge chain of successful stores Canada-wide, now numbering over 170 franchises. Of course we know that the concept of an ultra-low-price retail store is not just the preserve of Canada. Indeed in the UK we have our Pound Shops, but there just seems something so erm…intrinsically Canadian about these stores. I’m actually a real sucker for these places and I’m not entirely sure why. I seldom spend much (well I guess that’s the general idea) or anything at all in them but I still can’t resist them – I can’t walk past one. I guess I just take a feeling that I might well be missing out on a great deal on something I really need. Dollar Stores are like that – all the stuff inside them is merchandise that you feel you can’t possible leave without and well, it’s a only a dollar (or two) anyway so you may as well buy it! The day moves on and the rains begin to fall as we drive into Penticton via a short stop at Summerland Sweets which is the front office business of a highly successful company that trades up and down the Okanagan area. It’s almost three years since I visited Penticton and it feels a little different from previous times. 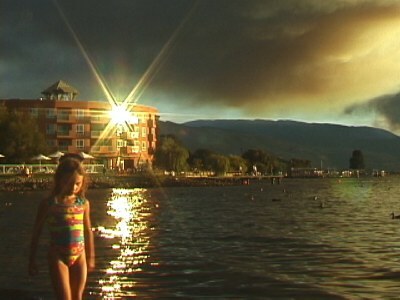 Kelowna by comparison appears to be exploding with life, vitality and wealth while Penticton looks older and more dated. 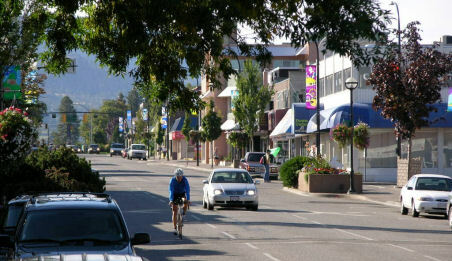 The town however does prosper through vacationers during the summer swarming to the lovely beaches and also to Apex Ski Resort in the winter months. The Kelowna Daily Courier has the welcome sight of two bathing beauties on the front page of the October 2 edition today. Any excuse one might say but the real reason is that The city hit record high temperatures for this time of year yesterday of 25.5C, beating the previous best by 0.5C. It’s all very welcome of course and certainly ‘Esdra Gunn and Kelli Strynadka both 21′ pictured sunning themselves at Gellatly Bay are easy enough on the eye over breakfast. That same page has a much less salubrious article too unfortunately recording the possible plight of the some of the large population of bunnies that are to be found running wild on the grass verges around Kelowna. I’ve spoken of Kelowna’a bunny problem previously but at that time the eventual destiny of the floppy-eared creatures was yet to be decided. Some weeks later a ‘rabbit eradication program’ has begun rather sadly. It seems the rabbits are being shot with air rifles by a company called EBB who have been instructed by the local authorities. Today’s Courier report however speaks of a review on proceedings and rather more sinister actions than a straight cull of the animals. This has occurred after an EBB employee was reported as stomping a rabbit to death after it failed to die to order after being shot. The EBB have claimed that stomping on the animal was intended to ‘put the animal out of it’s misery’ after only being wounded by the shot. Joe Creron. 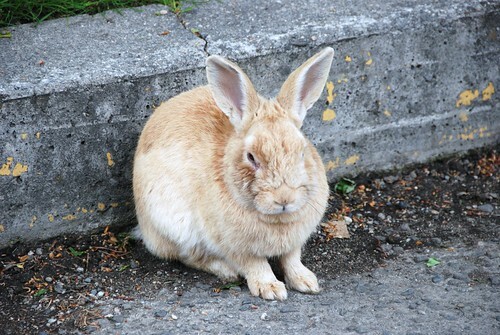 The Kelowna City Parks Manager is quoted as having asked a veterinarian about the practice of crushing a rabbit’s skull as a means of euthanasia and was informed that this was considered ‘a humane means of putting the animal down’. Creditably Mr. Creron begs to differ, claiming that ‘Although this may be considered humane by professionals, it’s not acceptable to the city’. He added ‘I was disgusted and appalled when I heard about it;. Hear hear Mr, Creron. 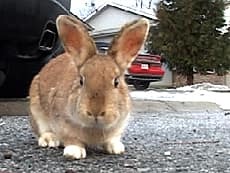 It’s easy to understand and accept that the Kelowna bunnies are a problem in the city, particularly posing a threat to farmers and their crops. At the same time I have to agree with Joe Creron and the city’s stand against this unfortunate practice. Sometimes when on our travels, we barely notice the little gems right under our nose. Such was the case when I visited Guisacan Heritage Park recently. The home I have been staying in for the past three weeks in Kelowna, BC. Canada is but a few metres across Cameron Avenue from Guisachan Heritage Park. I should really explain. 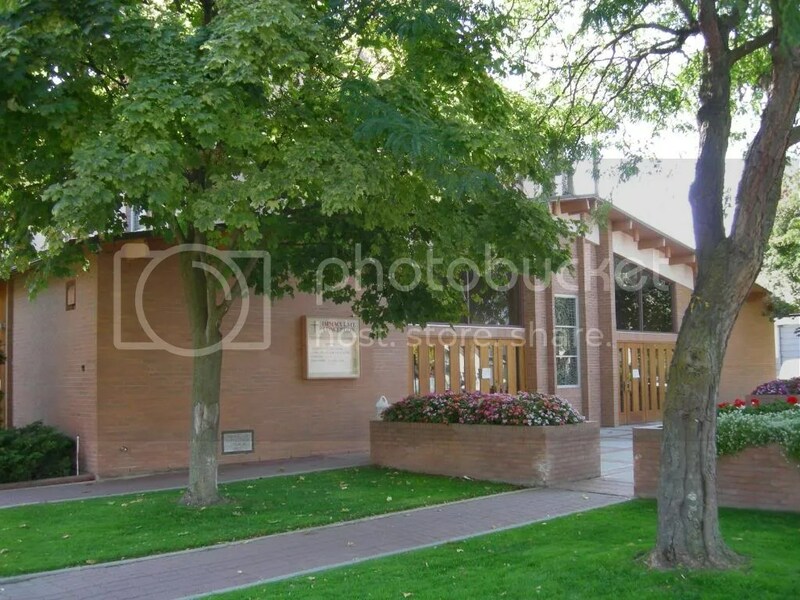 Not only is the park practically on my doorstep, shamefully I have been walking and riding past it for over three weeks now with only a glimpse through the trees at the inviting looking picturesque gardens, fronted by an ancient looking wooden cabin which is now a private home. Finally I popped in there on the way to the local Guisachan Village shopping plaza, armed with the camera, and what a pleasant and interesting surprise it was. Canada ’08: The Mirthmobile is dealt a lethal blow! We were due to travel to Penticton down at the foot of Okanagan Lake today. A few things awaited us there in the pretty town with its attractive beaches and relaxed atmosphere. Penticton is the home of the single best second-hand bookstore I’ve ever had the pleasure of spending my ill-gotten in for instance. The Bookshop is basically set out in two rooms on a couple of heavily packed levels. At a floor space of 5000 square feet, the store is a complete haven for readers. The last couple of occasions I had the pleasure of visiting I wished I’d taken a packed lunch as I practically had to be dragged bodily out of the place. Another promising visit for me personally was to be the Penticton Memorial Ice Rink to view the British Columbia Hockey Hall of Fame. Well I’m in close-season suspense and I’m in Canada eh? 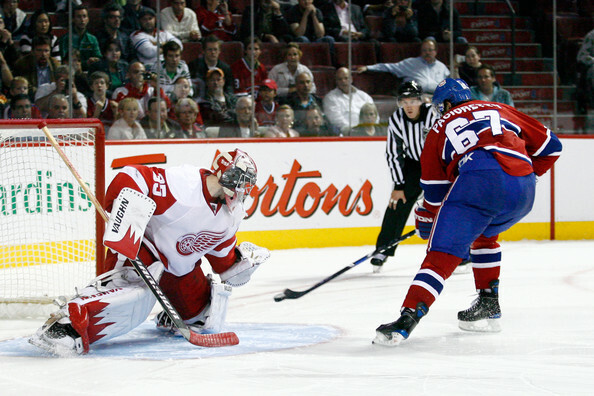 I need my hockey fix badly. 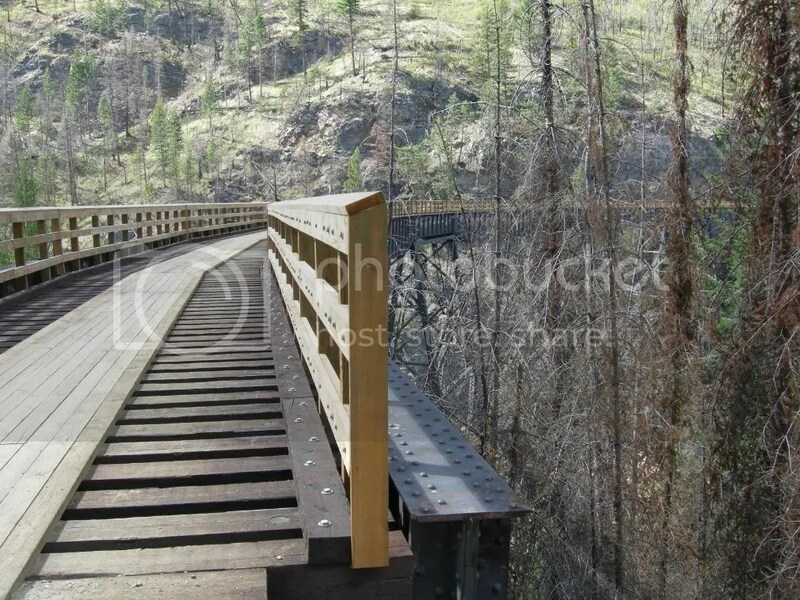 There’s a simple, straightforward route to Penticton from Kelowna which most sensible people take. 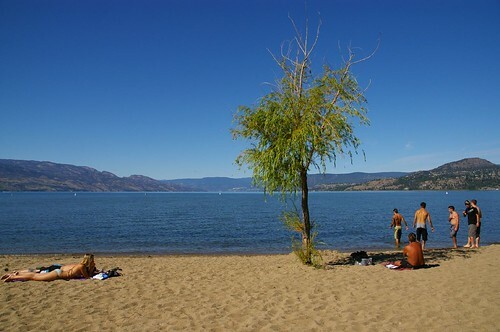 It entails an uncomplicated and very attractive drive that follows the Okanagan Lake past Peachland and Summerland. That why we chose the difficult way of course, through the mountains on the opposite side of the lake. It seemed like a great idea at the time to see a road and some tremendous views that we’d not had the pleasure of on past visits. Since driving from the airport on our initial day back in Kelowna almost three weeks ago one thing struck me straight away. On the tidy green grass verges all around the city are hundreds of domestic bunnies scampering around playfully everywhere. Domestic certainly, these are not the wild rabbits seen commonly in the UK but rather, big, floppy-eared creatures that look like they belong in a cosy hutch in the back garden. They’re pretty cute actually sitting on the borders of the roads and highways with huge pick-up trucks thundering past them with the roar of their huge engines providing a counterpoint to the gentle nibbling of the bunnies. 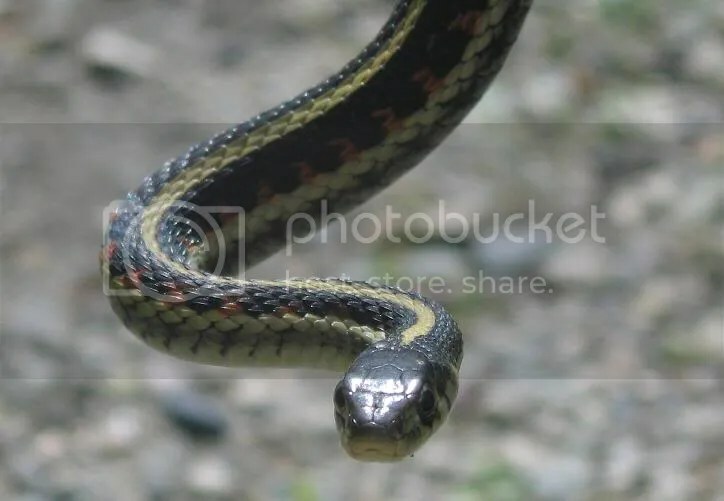 It’s reported that there are up to 700 of them are scattered around Kelowna. In fact the original Kelowna rabbits were domestic pets that were either turned out of house and home or alternatively escaped, I am assured. Bunnies being what they are (and what they do best) are now taking over the city much to some people’s chagrin. There are a number of lobbies and just as many opinions about what course of action to take about the animals. Thankfully the majority don’t coincide with the actions taken by two thugs reported in The Kelowna Daily Courier this week. A security guard spotted a 24 year-old man and his 14 year-old brother mindlessly attacking some of the rabbits with 1.5 metre-long sticks. Happily those two look to be facing charges of cruelty to animals. Any day now, EBB Environmental is due to trap and kill the feral rabbits. No actual date is to be released due to threats received from individuals and groups prepared and ready to disrupt the cull. Three methods have been released according to a city representative. Perhaps none will be suitable for animal lovers but the methods proposed are firstly to trap the rabbits and give them to groups such TRACS who have been involved in saving the rabbits from the cull. Alternative propositions are to trap and then kill them by lethal injection and finally to trap and shoot them with high-powered rifles. The rabbits will then be offered to wildlife shelters as food. What’s certain is that the future of Kelowna’s feral bunny population looks a bleak one. What a shame that this city problem has been allowed to grow to the proportions it has. Perhaps all stake-holders in this problem need to share a little blame for the Kelowna bunny’s plight. I came across this outstanding contribution to ‘Annie’s Mailbox’ in the Daily Courier this morning and just had to share. Don’t you just love those ‘Agony Aunt’ columns – places where you can read of the bizarre happenings in others’ lives. It’s a neat little downward social comparison. You can be most thankful it’s not you in there. The following lady has encountered a problem with her neighbour who she describes as ‘the Stud’. The elderly lady writing in receives some good, down-home advice as usual from Kathy Mitchell and Marcy, – ‘longtime editors of the Ann Landers column’. “DEAR ANNIE I have a problem with my next-door neighbor. He is a retired man, very religious, and when he talks to me, he’s forever adjusting his you-know-what. Father Charles Marie Pandosy was born in 1824 near Marseilles, France and was ordained into the Oblates of Mary Immaculate, an order of Catholic Priests founded in 1824 in France. Oblate translated means ‘total giving’ or sacrifice, and this is what those ordained set out to achieve by means of missionary work. After a period working in Oregon in the US, Father Pandosy and Father Pierre Richard established a Mission in the Okanagan area in 1859. 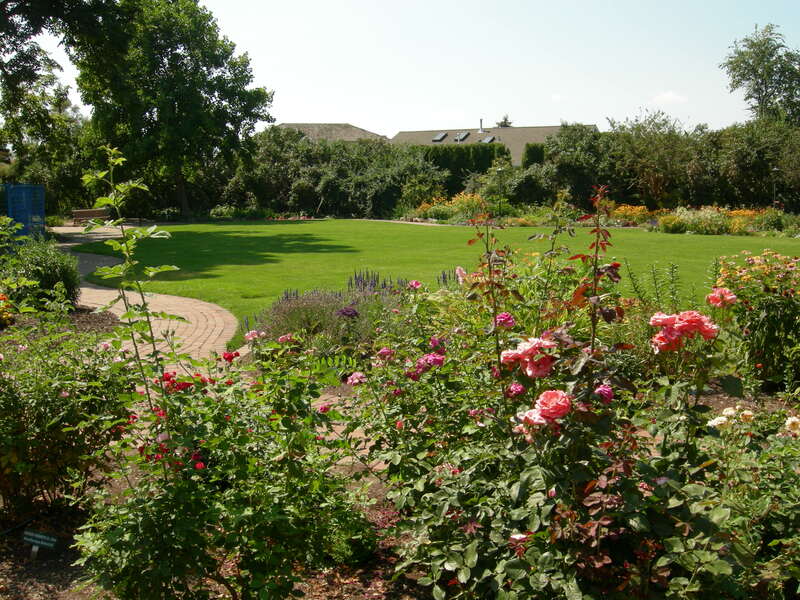 Their Mission in what is now known as Mission Creek was lovingly tended and nourished for thirty years. It became a local focus for religious, cultural and social happenings whilst they built up a large farm and cattle ranch. They also built the region’s first church and school.